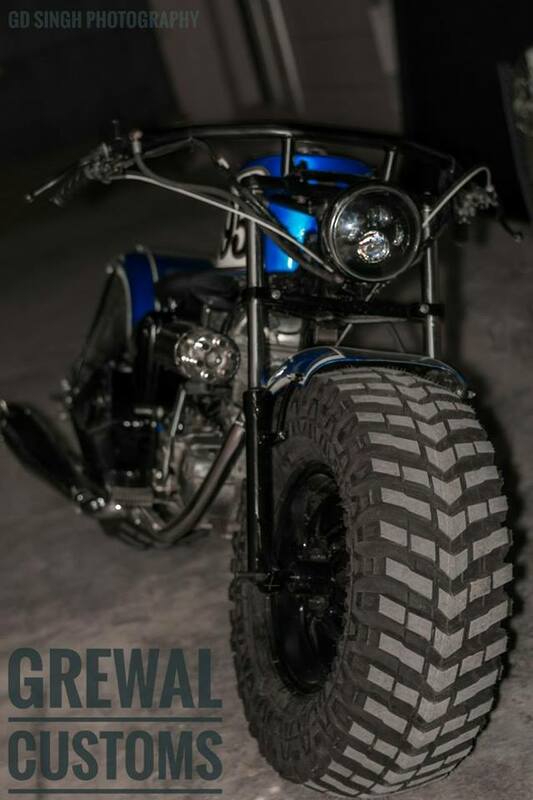 Custom bikes are just like a piece of art. They are like a sculpture, painting or music. The finished bike shouldn’t be just a pile of metal. It should be artistic. It should generate thoughts in the minds of the beholder. Same case is with today's featured bike. 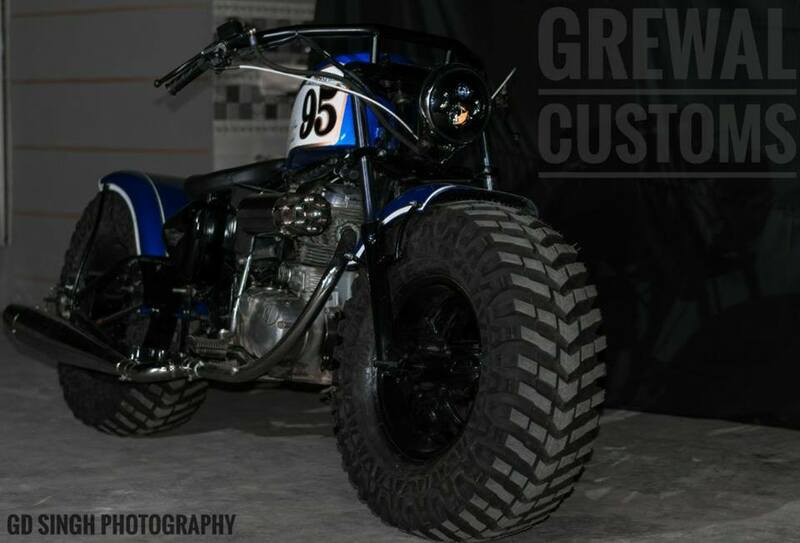 It is More than just a custom bike like an art. This is Blue Beast by Grewal Customs. 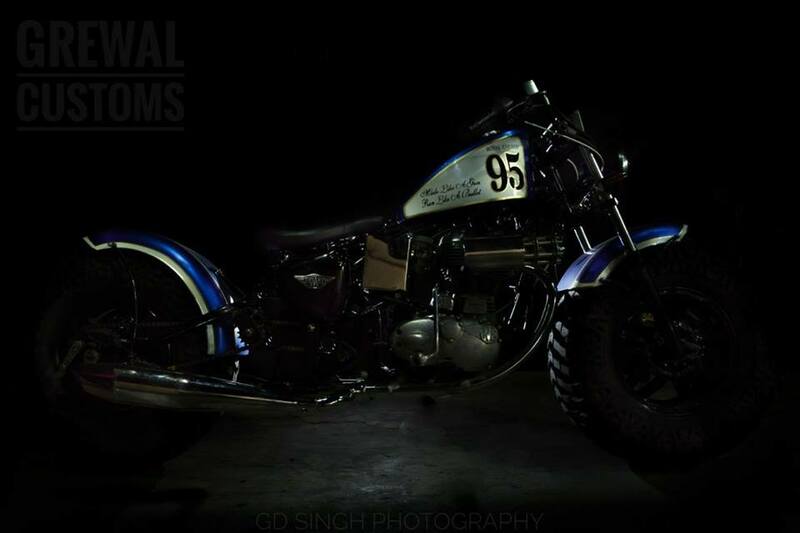 The Stock bike used for this is Royal Enfield Electra. Tyres used are Maxxis Trepador on both sides. A fully customised Front and rear ends. Fuel tanks painted with blue and White Colors with Gold shaded Outlining. 95 printed on both sides of the tank. As a whole the bike looks so gorgeous. If you like this bike then share it or comment.